The last two Saturdays of my life could not have been more different. Two Saturdays ago my family attended a quinceañera, a grand celebration in Latin America of the 15th birthday of a young lady. Last Saturday our family went to a.funeral of my wife’s grandfather, a sad affair because he wasted most of his life on alcohol, and nobody is sure where his eternal soul abides. We were invited to the quinceañera by a dedicated Christian woman who spent some years helping out at the home for needy children where my wife and I serve. Now her lovely Christian daughter was celebrating her 15th birthday in a big way, with a beautiful new dress, six handsome young men decked out with tuxedos, super decorations, delicious food and great music. What could be better? A good time was had by all. On Friday, my wife Anitas grandfather died in a freak accident, perhaps caused by drinking, even though it was only 11a.m. He was sitting on a rock ledge. He leaned back and tumbled onto a concrete floor where he cracked open his skull. He was 83 years old. Anita’s younger brother is in his twenties. He has Down Syndrome. He was the only person who cried at the burial. He cried with all his heart. When he prays and sings he does it with all his heart. He seems to be in touch with God on a higher plane than most of us. Some people feel sorry for the poor kid with Down Syndrome. Sometimes I think that we should feel sorry for ourselves that we are not in touch with God like he seems to be. I think he was mourning for more than his dead, alcoholic grandpa cold in the grave. Maybe he was mourning for a weak, troubled spirit who couldn’t overcome his problem; a man, created in God’s image who never experienced the joy and peace that comes from living in right relationship with God. That is most tragic thing in the world, and maybe everyone present at the grave site should have been crying with all their heart. Anita’s older brother is pastor of a little church in Mitla, and is also owner/operator of a Christian radio station. At the funeral he talked about how his grandfather had made some poor choices in life, and then talked about how we have all made some poor choices in our lives. How we have all fallen short of God’s glory, how we have all sinned. The cure for poor life decisions is found at the foot of the cross, in the forgiveness found in trusting our lives to Jesus of Nazareth. “Confess your sins to God, and he is faithful and just to forgive us and cleanse us from all unrighteousness.” These were the words he used to end the service. A great encouragement to those of us who could look at everyday of our lives and realize that we have fallen short of God’s holy expectations of us. A great appeal to those who have never trusted in the precious blood of Christ to change bad life decisions into a new Life. A grave side burial in Oaxaca Mexico is unlike any I ever experienced in the U.S. The word that comes to mind is Raw. It is not “pretty”. It’s not ugly either. It’s just real, maybe like it was in the U.S. 100 years ago. There is a big hole in the ground with a big pile of dirt beside it. Family members and friends of the deceased put a couple of ropes under the casket, and lift it up and lower it into the hole. Sally and Kelly were very interested in the whole affair and care had to be taken that they didn’t fall in. Once the casket is in, a bag of clothes belonging to the dead person comes out, and one by one the clothes are dropped in. In this case, Anita s younger brother did the honor, dropping in some pants, a couple of shirts and a couple of sweaters, his tears falling in along with the clothes. After the clothes, some flowers are added and then the dirt begins to fly. Again, family members and friends are the ones shoveling the dirt, filling the grave. When the shoveling is done, there is a mound of dirt at least two feet high over the casket. On this mound of dirt was placed flowers in five gallon buckets, along with candles and a cup of soda pop. Finally everyone goes home. My Saturday experience was finished. Ecclesiastes 7:2 Says it is better to go to a house of mourning than to go to a house of feasting, for death is the destiny of everyone; the living should take this to heart. Death is the destiny of everyone. Physical death, that is. 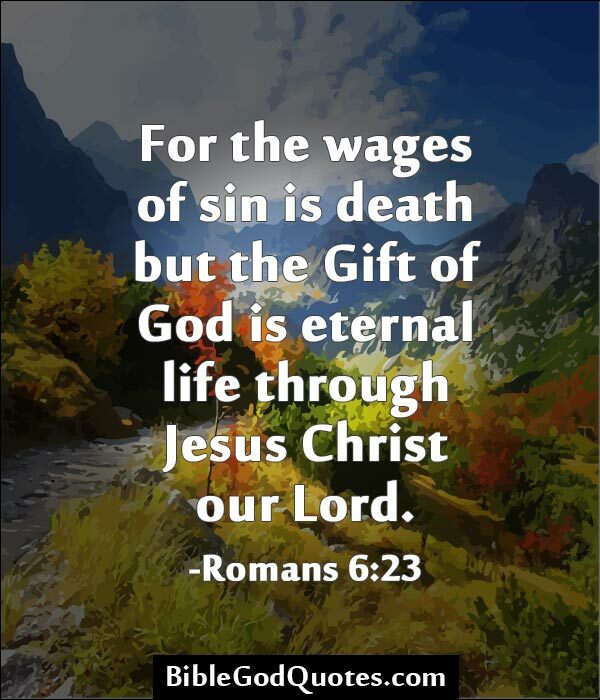 Praise God that He has made a way for people to live eternally, and that eternal life begins the second a person has faith in Jesus and in his work on the cross. Thank God we can look forward to that day we will be seated at the heavenly banquet, the celestial quinceañera, but instead of honoring a 15 year old lady, we will be adoring our Lord and Savior.